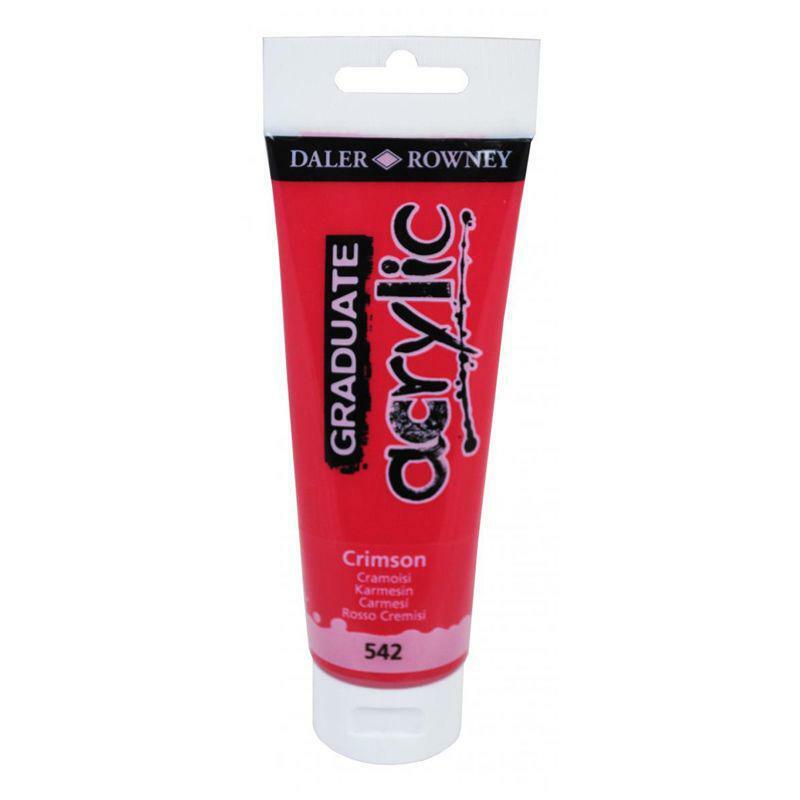 Graduate Acrylics from Daler-Rowney offer a very affordable range of bright and strong acrylic colours that are easy to brush onto surfaces. They can be used on any paper surface, primed board or canvas, used indoors or outdoors and are so versatile they can also be used with a variety of acrylic mediums. There are 48 colours in the range, including metallic colours. 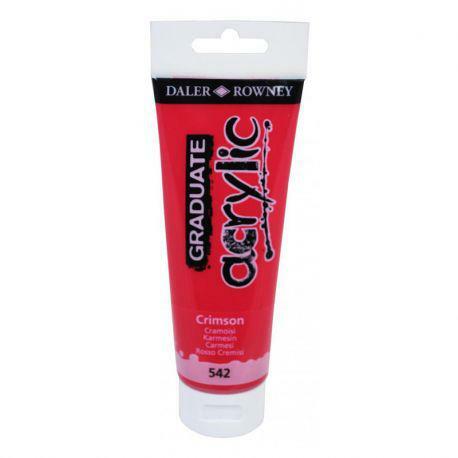 The advantage of acrylic colours to schools and hobbyists, of course, is that artwork can be dried and stored away shortly after an art class has been completed, and will not smudge if water is spilled on the surface of the painting. The colours are fast-drying, durable and flexible, so paintings will last a long time. Paper and canvas coated with Graduate Acrylic can be loosely rolled and stored without fear of cracking. Graduate Acrylic colours are of good pigment strength and flow easily across paper and primed surfaces. Colours are water-based and contain no solvents. In accordance with EC labelling regulations, all colours are classified as non-dangerous for use. Quality as expected, satisfied, will use again. Good paint at a great price. These are good enough quality at a good price that I have used before. Good range of colours.